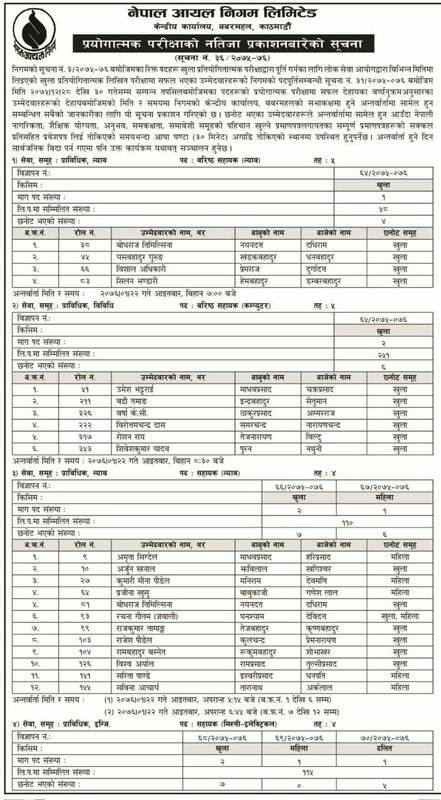 Nepal Oil Corporation (NOC), Human Resource Department, Babarmahal, Kathmandu has published the result of the practical examination for various posts through open competition. 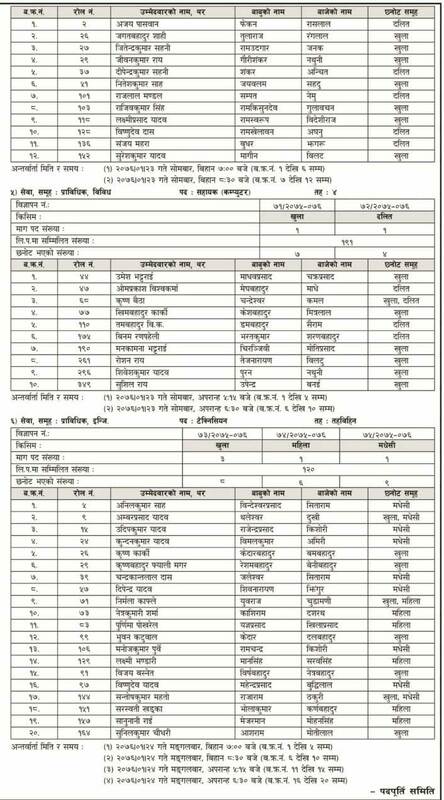 Name of following Candidates as listed in the notice have been selected from the practical examination for the interview. Selected candidates should present themselves 30 minutes early with necessary documents on the day of Interview.